With a zoning system, you'll be able to direct more heated or cooled air where it is needed-and less where it isn't. So room by room or zone by zone, you will enjoy steady precise comfort on demand. Zoned systems alway you to take control of each room/ office. You can on an individual room level set the climate to how you would like. Each room gets to control their climate. With this new climate control system you can take control of the temperature and Air comfort can help. 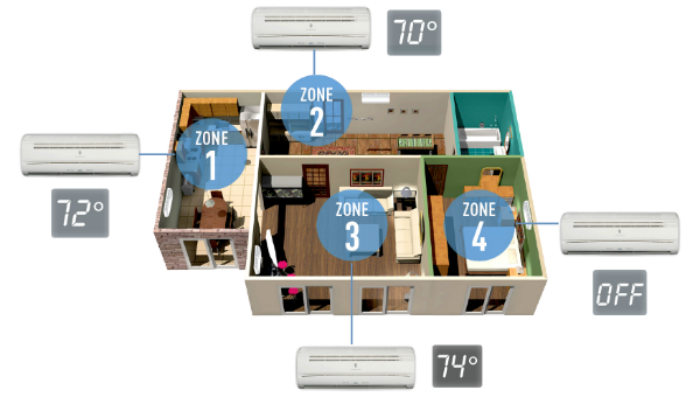 Air Comfort Idaho zoned systems are installed quickly and easily. We will go over the design with you and customer tune it to your liking. Contact Air Comfort today to get a quote.